At the Zoo, our alligator buddy is Nero. She has wonderful camouflage, which makes her occasionally hard to see when she isn’t out sunning themselves. Young alligators have yellowish bands on their bodies, but adults are generally gray or black in color. The ears and nostrils have valves that close when the alligator is submerged, and it can remain under water for up to an hour. The alligator has a broad snout and all the teeth in its upper jaw overlap with those in the lower. There are about 80 teeth in those powerful jaws! As teeth wear down or break, a new tooth replaces the old. Alligators go through about 2,000 to 3,000 teeth in a lifetime. 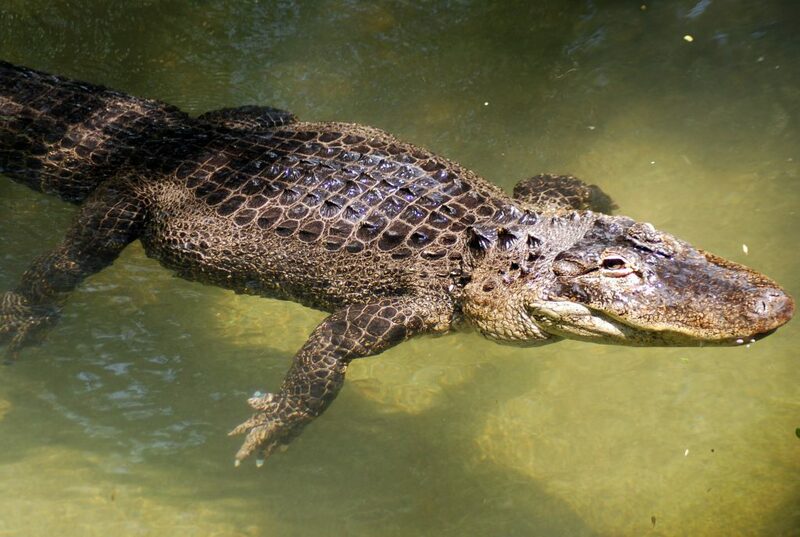 American alligators have a lifespan of 50-80 years in captivity. The main predator for the American alligator is humans. Hunted for its skin and meat, alligators were once on the brink of extinction. Preservation of wetlands is very important for alligator habitats. The American alligator is a keystone species to the ecosystem, so its preservation is crucial. 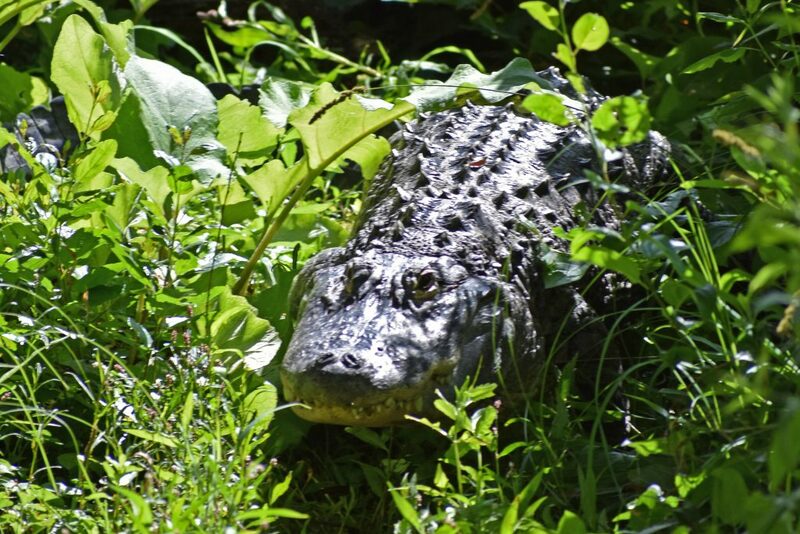 Conservation efforts have since taken the American alligator from the endangered species list.